If you have been searching for ways on how to bulk up, you may find more obstacles than you originally expected. Whether you are just looking to add a few extra pounds and chisel out your summer beach body or you’re a man who is sick of being called skinny and scrawny, packing on the mass can be difficult. If you’re following the ages-old formula of hard exercises and high protein diets but just can’t seem to bulk fast enough, there could be an underlying reason to blame. Bulking up isn’t easy and we’ve found that most people who have a hard time gaining weight typically struggle with either a low appetite or a high metabolism. CB-1 Weight Gainer is here to help by giving you the best tips on how to bulk up. When looking for ways on how to bulk up, many men may turn to weight gain supplements to help them pack on extra mass. Weight gain shakes are popular for this specific reason but they often contain too much sugar and are more likely to pack on fat instead of muscle. A healthier alternative is to use an all-natural herbal supplement that can provide you with an increase to your appetite and a slower metabolism. If you really want to know how to bulk up, taking a product like CB-1 Weight Gainer will give you the kick in your appetite that you need to pack in the extra calories required for that lean poundage. If you are already eating large quantities of calories and find that you are having difficulties turning those calories into mass then you know that your fast metabolism is the issue. But don’t worry; CB-1 Weight Gainer was designed to slow down your metabolism so your body will burn off fewer calories and you can really start to bulk up. Keep in mind that there is no such thing as a magic pill and taking a weight gain supplement alone may not be enough. You still need to make sure that you are on a healthy, high protein meal plan so that you receive all the calories and nutrients you need to bulk fast. Researching how to bulk up will show that drinking high calorie, nutritional beverages such as milk, juice, or even an occasional soda can be beneficial in giving you the extra calories you need. Aside from eating three large meals every day, make sure to also eat plenty of high calorie snacks such as fruits or granola bars that will help you pack in additional calories between meals. The old “eat big, lift bigger” rule wouldn’t be so popular if there wasn’t at least a grain of truth to it, right? 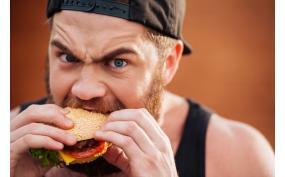 Let’s face it: food alone, even with CB-1 Weight Gainer, may not give you the ripped beach body or impressive frame that you’re looking for. Knowing how to bulk up is more than just eating a lot of food and relaxing on the couch. If you’re looking to maximize your muscle development and minimize body fat, you’ll need to make sure you’re properly exercising and weight lifting! Keep a tracking sheet of your exercises, making sure that you are focusing your workouts on the body parts you’re looking to develop. 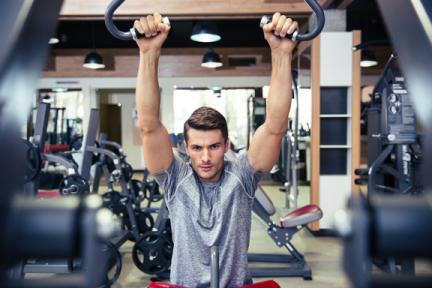 By putting tension and stress on the desired body parts your muscles will adapt, strengthen and bulk up, giving you a stronger and more pronounced physique. So for those men looking for ways on how to bulk up, remember that a balanced combination of high protein diets and targeted exercises are important to your goals and will be the foundation for your success - but they may not be enough to help you get there alone. If you are putting away food by the pound and still not seeing any gains, it’s possible that your fast metabolism could be holding you back. Having a reliable weight gain supplement such as CB-1 Weight Gainer on hand to help you slow down your metabolism can provide you with the edge you need to bulk up fast. For more helpful tips on how to bulk up, visit the CB-1 Weight Gainer Blog.